This is an assignment given to me by a teacher when I was substituting her orchestra classes for two days. 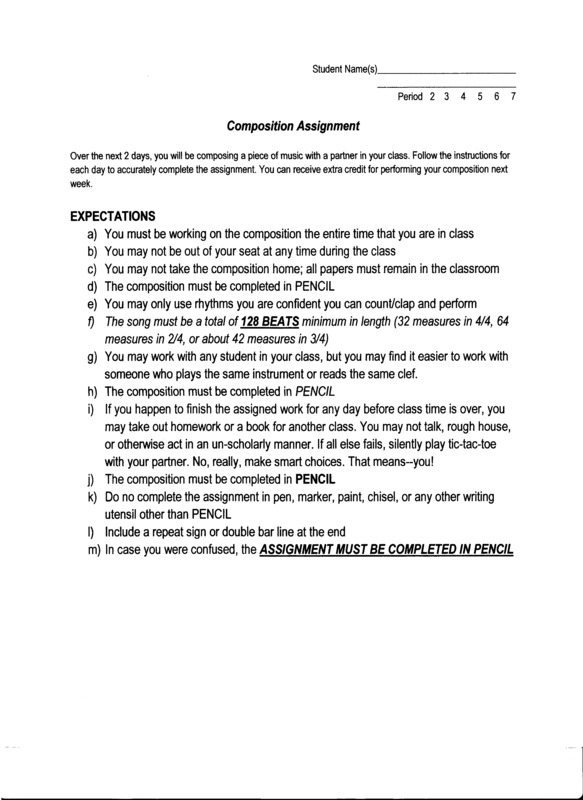 I don’t think she’s mind if I shared this basic composition assignment. I also have some rules for composing floating around in my notes from college…somewhere…whenever I find them I will be sure to share. The third page of this assignment is meant to be for the students’ rough draft, and can be easily copied and adjusted for their final draft. 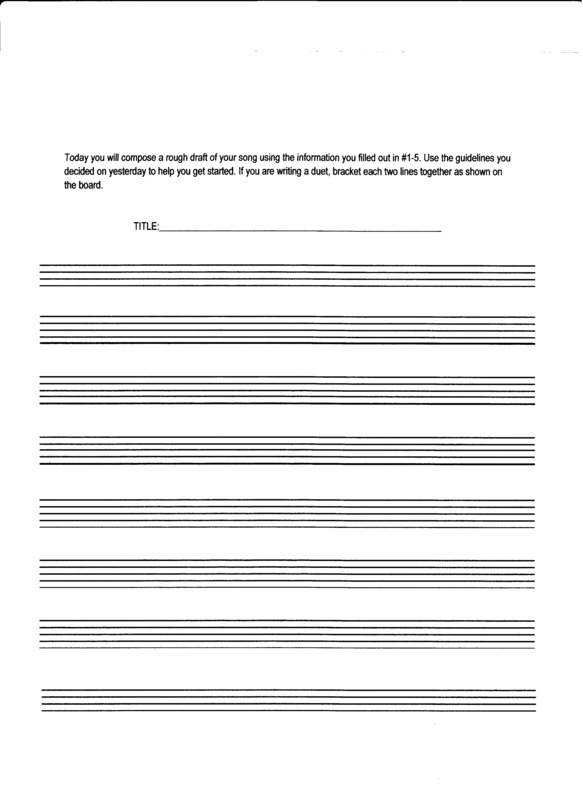 Also, you can go to http://www.blanksheetmusic.net/ to find and create manuscript paper for any classroom project. 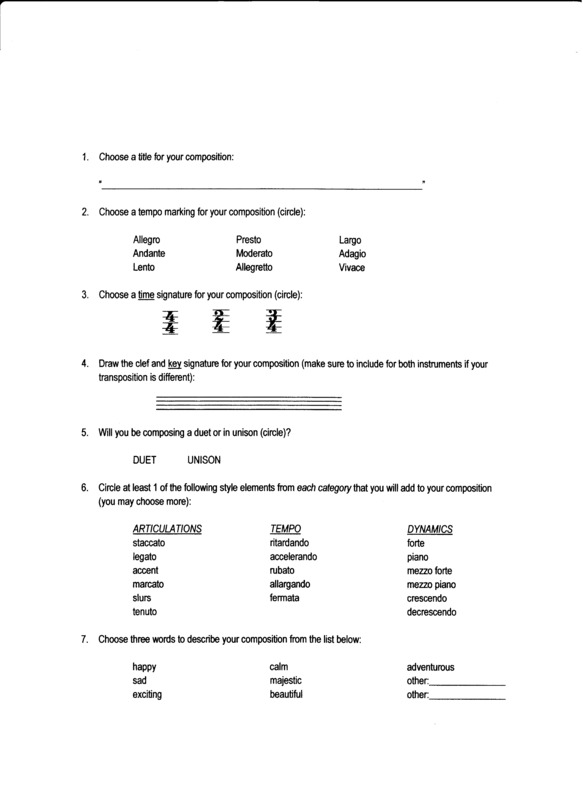 This entry was posted in Lesson Plans & Ideas, Teaching Band, Teaching Orchestra and tagged .net, assignment, band, blank, compose, composer, composition, easy. staff paper, high school, instructions, lesson, manuscript, middle school, ochestra, rough draft, sheet music, staff, sub, substitute. Bookmark the permalink.